Rabbi Ilan D. Feldman began his service to Beth Jacob as its Assistant Rabbi in 1980, and became its senior rabbi in 1991. 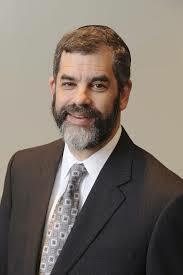 Having had the unique privilege of serving in the community in which he was raised, and succeeding his father, Rabbi Emanuel Feldman, who held this position for 39 years, Rabbi Ilan’s leadership provides a level of continuity and stability which typifies our shul. Rabbi Feldman has played a key role in the development of our community’s infrastructure. He is a founder of Torah Day School of Atlanta and serves as its Rabbinic Advisor. He was instrumental in bringing the Atlanta Scholars Kollel to Atlanta; and he serves as the Dean of the Atlanta Kashruth Commission. Rabbi Feldman was ordained at Ner Israel Rabbinical College and is a disciple of his father in-law, and Ner Israel’s Dean, Rabbi Shmuel Yaakov Weinberg, OBM. He has a degree in Counseling Psychology from Loyola University, and is known for his skills as a counselor, combining religious guidance with practical stratagems to guide young and old.